Acupuncture is a technique in which practitioners stimulate specific points on the body—most often by inserting thin needles through the skin. It is one of the practices used in traditional Chinese medicine. Results from a number of studies suggest that acupuncture may help ease all types of pain that are often chronic such as low-back pain, neck pain, and osteoarthritis/knee pain. CHANGE YOUR LIFE, HEAL YOUR BODY! Licensed M.D. , Beijing, China (2005) Kwan Park arrived at Beijing, China and earned his bachelor’s degree after 5 years of training in “Chinese & Western medicine” in 2002 from Beijing University of Chinese Medicine in Beijing, China; One of the most prestigious Chinese medical universities of its kind in the world, He went on to pursue 3 additional years of training in both Chinese & Western medicine, earning his Master’s degree in Orthopedics in 2005 from the same medical school, and Residency training in Dongzhimen hospital (hospital in Beijing) for 3 years. He also obtained a M.D. license in 2008 in Beijing, China.After a long term of study and research, he returned to Korea to complete his military services for 2 years in the medical affair. He also finished his acupuncture/oriental medicine program and earned his Doctorate at South Baylo University in 2013. 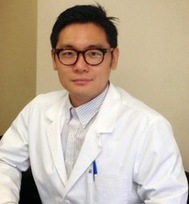 He currently has his own medical program called Soo Health Care acupuncture clinic at Lake Forest, CA. Aesthetic Acupuncture (cosmetic or facial acupuncture), or “Acupuncture Face-lifts” is an effective way to look younger to the face. Aesthetic Acupuncture is a natural facial skin treatment method that uses thin needles on specific points on the face to enhance the beauty and preserve a youthful appearance. It is done in the same fashion as traditional acupuncture is done for general health with the goal of creating collagen just under the skin to help fill in wrinkles and plump skins. When performed correctly, it is highly effective in reducing wrinkles, scars, oily acne skin, tighten loose sagging skins. It also aims to balance the body’s energy and create a sense of well-being by improving circulation to the skin and entire body. Most patients report the color and texture of the skin brightens while sagging gets lifted in a natural way, unlike a surgical face-lift or chemical injections that cause dramatic and unnatural changes to the way they look.